Thank you for purchasing our deal for magic shop merchandise using Deals Magazine's discount. As a token of our appreciation, we would like to offer you a follow-up deal for 25% off a private children's or adult magic show. 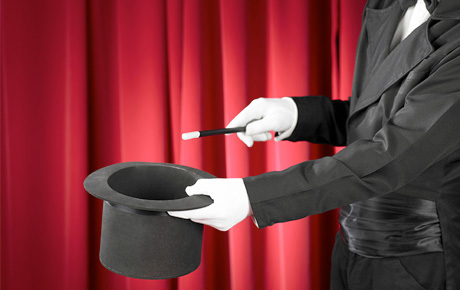 Each involves magic, humor, jokes, gags and audience participation. The children's show involves a live rabbit, and the adult show features mind-reading and ESP. For more magic, click here.